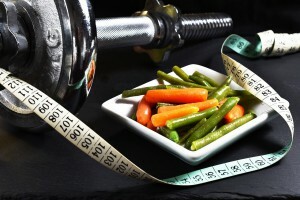 It’s National Nutrition Month Shift Your Mindset for Permanent Weight Loss! MSG can be disguised by more than 40 different names, explains Lee. Key terms that may denote its presence: glutamate, anything “hydrolyzed”, yeast extract, gelatin, soy protein, soy or whey protein, soy sauce, anything “…protein”, and calcium or sodium caseinate. MSG is hard to avoid because the FDA requires it to be listed on the label only if it’s used as a main ingredient, and not if it’s used only as a processing agent, which is a very common practice, explains Lee. Why they are harmful: Most of us tend to assume that foods labeled ‘low-fat’ are good for weight loss, which in theory makes sense, given the fact that gram for gram, fat has twice as many calories as proteins and carbs. But in a study published in the journal Appetite, researchers analyzed nutrition information for nearly 6,000 foods in Canada and found that, overall, products with low-fat claims were not significantly lower in calories than their full-fat equivalents. What’s more, “low-fat foods may even lead people to consume extra calories,” says Lee. A separate studyinvestigating the effects of different fats on satiety found that participants were less hungry two hours after eating regular muffins compared to fat-free muffins. Hope these nutrition tips help you live your ultimate healthy life!